How To Pop A Pimple In Your… EAR? Pimples and spots in the ear canals are one of the worst and most annoying pimples to get rid of. this is because you cannot see them and they generally are sore/inflamed. Getting to these pimples can be a mission and not easy but they have to be dealt with one way or another. Pimples on flat surfaces such as the face, neck and back are much easier to deal with however pimples in the ear canal differ due to being in an enclosed area and some times far in the ear. Depending on where the pimple is located and whether or not it is in reach we can try to squeeze it out. You are about to find out the best ways to pop pimples in the hardest places safely without making the situation worse. If you are experiencing any of these I suggest you read on. This page is for information purposes only. Please see the medical disclaimer for more information. First of all do you want to see 1 of the biggest pimple in the world? Now that was disgusting and that was more commonly known as a cysts that had been around for a long time. Lets find out how to get rid of a pimple, spot or zit in your ear. The first thing you want to do is apply some pimples cream to the area if it is in reach and leave for at least a day whilst monitoring its progression. Spot treatment and pimple products such as Oxy, Clenziderm or Clearasil will do the trick for now and can reduce the swelling and inflammation whilst preventing its return. The pimple in the ear will have formed due to a clog because of ear wax, oil or pressure at some sort put on the ear to cause pores to block and cause inflammatory. Try Tea Tree Oil For Inflammation? 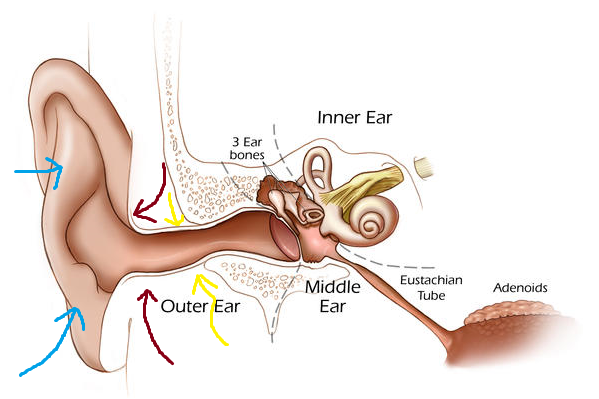 There are 3 zones when it comes to removing a pimple in your ear and these zones are allocated blue, red and yellow. Blue (safest but still tricky) leave to pop on its own accord or use this. Just like you would squeeze a normal spot or pimple but using cotton buds would give you better reach and prevent infection. Using a pimple cream like this one from Amazon will dry out any pimple in the ear no matter what zone and prevent it returning. Wash hands thoroughly then apply pimple cream to area. Morning and night. 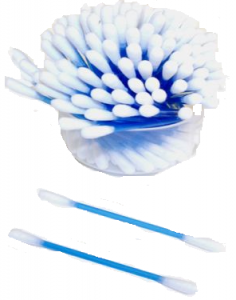 Using 2 cotton buds or fingers attempt to squeeze gently around area using caution for you ear drum. Once the contents of the spot are removed use a clean cotton bud to remove any excess and wash ear with cold water to close pores. Avoid touching and should be ‘Gone For Good’. If a pimple is in yellow see your local doctor. Did you squeeze your spot properly? Popping spots can be fun and disgusting but sometimes they become so uncomfortable or painful you have to do something. When it comes to getting rid of pimples in your ear make sure to use a spot cream first on the area and leave for a day or two then attempt to squeeze. Just remember that squeezing spots can scar your skin so be careful and avoid touching with dirty or bare fingertips to prevent spreading. The best cotton buds and spot creams can be found here or at your local pharmacist. Thanks this really helped! I most certainly will recommend this to anyone who needs help! I am happy this helped you!